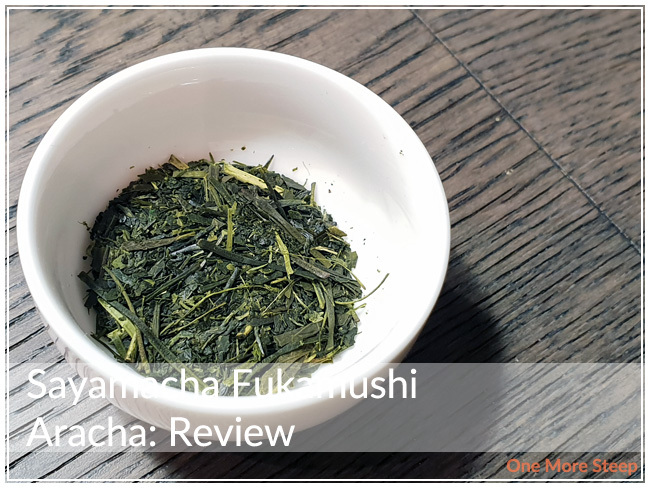 Yunomi has provided me with Sayamacha Fukamushi Aracha for the purposes of providing an honest review. Sayamacha Fukamushi Aracha was sent to me by Yunomi in a resealable green foil pouch. 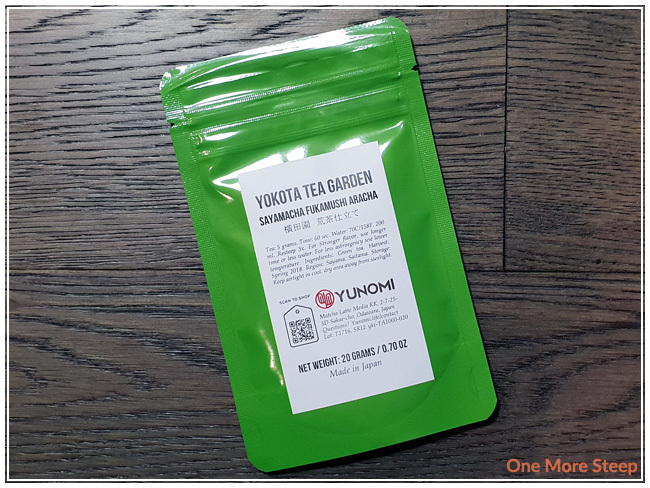 If you’ve never had a tea from Yunomi before, you’re in for a bit of information overload about the tea on the label. 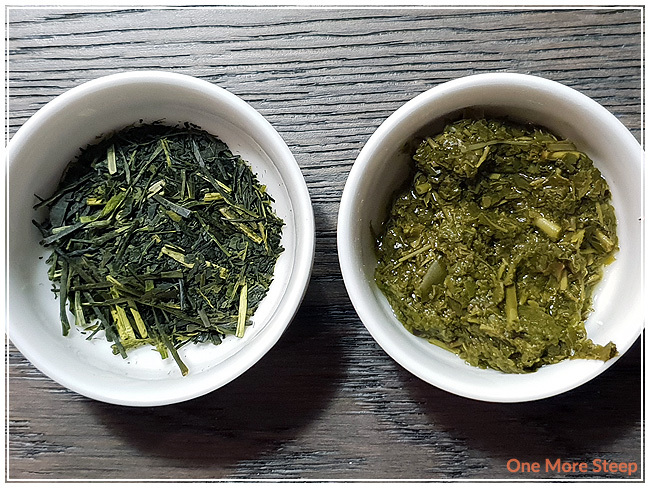 The printed text covers how to steep it, how to adjust steeping this tea to your liking, the ingredients in the tea, as well as when and where this green tea was grown and harvested (Sayama, Saitama and in Spring 2018). 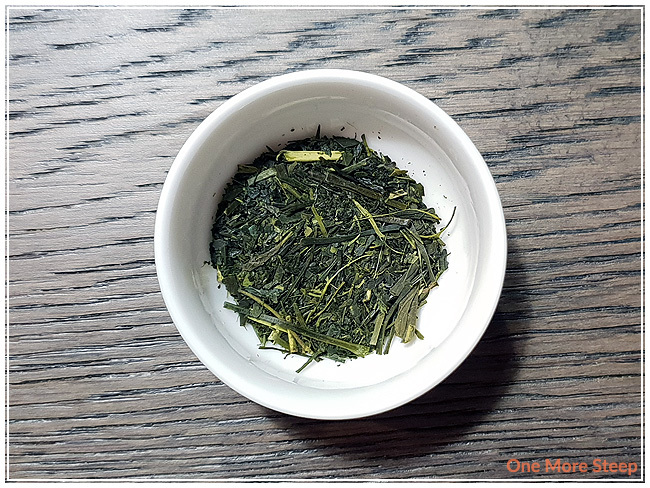 Sayamacha Fukamushi Aracha is a straight green tea. I found that the leaves seemed quite fine. The leaves are thin and flat in mostly bright to dark shades of green. The aroma of this tea is primarily that of the ocean (saltiness of the water) and vegetal notes that primarily remind me of dark green, leafy vegetables. Yunomi recommends steeping Sayamacha Fukamushi Aracha in 70°C (158°F) water for 60 seconds. The lowest my Breville IQ Kettle heats water to is (79°C) 175°F, so I opted to steep to that and allow the water to sit and cool for an additional 5 minutes. My steep of Sayamacha Fukamushi Aracha was for 60 seconds. I found there to be a lot of fine particles in my tea, it made it quite cloudy in appearance. If this is something that might bother you, I would recommend steeping Sayamacha Fukamushi Aracha with the use of a filter bag. The tea itself is a pleasant light yellow green. I found that the aroma of the tea to be very similar to the dry leaf – there’s quite of bit of salty aroma and the dark leafy vegetal aromas are still very much present. The flavour of Sayamacha Fukamushi Aracha was very similar to that of dried seaweed snacks – salty. 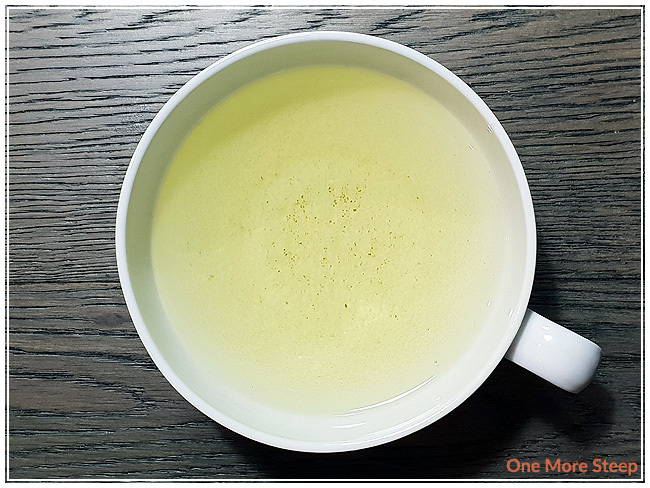 This green tea hits all the umami notes well, I found it be on the savoury side of things. Yunomi suggests that Sayamacha Fukamushi Aracha can be resteeped three times, so I did the same. I found the saltiness and umami notes to fade quite still maintaining the leafy vegetal flavours. I added an additional 30 seconds for each subsequent steep. I loved Yunomi’s Sayamacha Fukamushi Aracha. I found the flavour to be really pleasant, and wasn’t too salty/umami for me. The flavours of this tea stayed fairly consistent with each steep, with just a gradual loss of the saltiness as I resteeped it. I think that Sayamacha Fukamushi Aracha would work really well with a savoury dish to help balance out the flavours and lend some of that saltiness to the flavour of your meal.